Who wouldn’t want to be a Moonie? This sounds like the best pace on Earth to live. 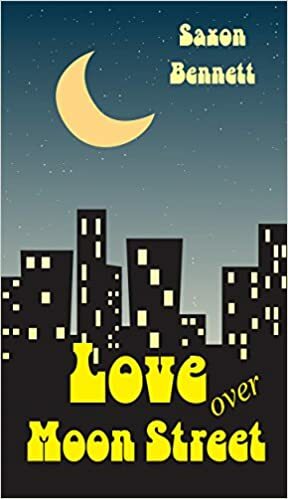 If you’re asking, “what in the hell is she talking about”, you have not read the novel “Love Over Moon Street” by Saxon Bennett. What a fun fantastic read, you will not be disappointed. The book is a look at six characters, and the obstacles they are facing while living in a small, eclectic apartment complex on Moon Street in Seattle. Each of the six are going through a major life event, some traumatic, all definitely life altering. The book is outrageously fun while tackling personal events, like loss of a parent, adoption and domestic abuse. I absolutely recommend this book if you need to escape and put a smile on your face! by Saxon Bennett et al.